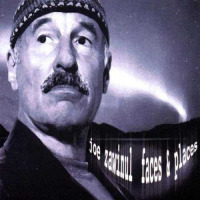 It is reassuring and life-affirming to hear in Faces and Places, a return to form for Joe Zawinul at age 70. On this album, the Austrian-born keyboardist revisits many of the themes he originally unveiled with his famous collective Weather Report three decades ago. 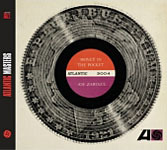 On this exceptional set, Zawinul is joined by Cameroonian bassist and singer Richard Bona, former Shakti member Zakir Hussain on tablas and Portuguese jazz stylist Maria Joao on vocalsall luxurious complements to a core band including the thrilling Ivory Coast drummer Paco Séry and Victor Bailey on bass. 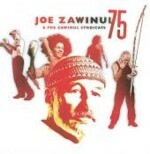 This is a musical summary of Zawinul's four decades on the road and in the studio, but it's an evocative one. African music plays a strong part, as do Latin-American rhythms, North Indian microtonal vocal lines and occasionally the folksy dance of a keyboard-mimicked cafe accordion (the leader's first instrument) from Zawinul's Vienna childhood. On most of these tunes, Zawinul allows the rhythm to occupy the foreground, and invade the melodic and harmonic roles too. Much of the percussion-playing on Faces & Places is simply magnificent, and Zawinul seems perfectly content at times to let his keyboards play little more than a supporting role. The music here does not break any new groundthe innovations (which are huge) that Zawinul made previously continue here with no radical changesbut that absolutely does not detract from the joyous genius in abundance here. 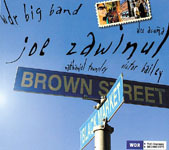 Most of the material on this album manages to seamlessly blend global, personal, and technical streams of thought and music, and in his seventh decade, with Faces and Places, Joe Zawinul still has few equals in this arena.